CAROLYN and Graeme Becker weren't too worried when the dry first started to creep into their Ropeley property. The couple had invested in additional water storage and enhancement projects which meant at first they were mostly unaffected by the drought. But this is no ordinary drought. The water quickly disappeared and with it their feed. 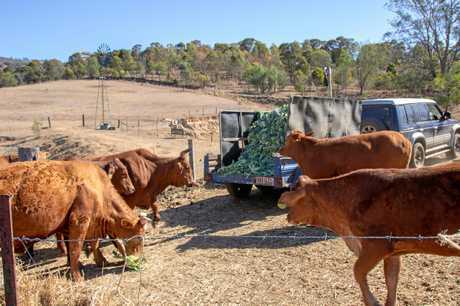 The Beckers are now working day and night to feed their 60 head of cattle which they describe as "physically and emotionally draining", and are now reliant on waste product from vegetable growers in the area - but this food source is rapidly disappearing. "We were getting sweet potatoes from farmers over at Lake Clarendon and that went down for almost daily to maybe twice a week and they had to double the price - which is only fair," Mrs Becker said. In desperation, the Beckers applied to access the Farm Household Allowance scheme. "We wouldn't normally ask for help but we're struggling," she said. But the experience left them drained and with nothing to show for it. Mrs Becker said the application process was convoluted and near impossible to decipher. "Well it's 90 odd pages to start with," she said. Mrs Becker said they had heard of some producers spending more than seven hours attempting to complete the application process. Graeme Becker said the system was a complete mess. No one really knows how to get it... it's too complicated to access. After wading through the application process, they received the heartbreaking news that due to the couple receiving part-pensions, they were not eligible to access the allowance. They were also told that their farm "was not viable", which Mrs Becker said was a slap in the face, and questioned what qualified as a viable farm. "The average farmer in the valley here has 50 cows," she said. "We're primary producers but we're small primary producers." 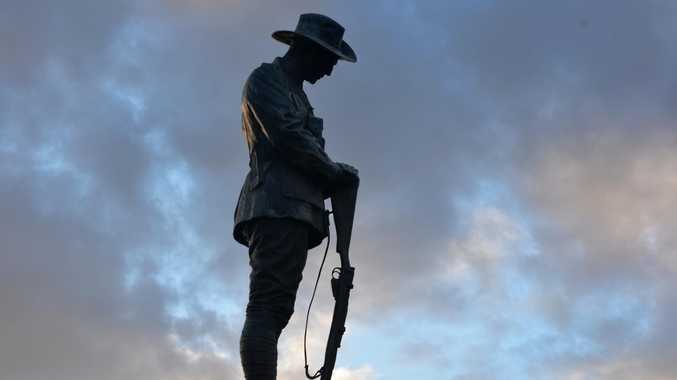 The Beckers warned if government didn't start to support smaller producers, many would disappear and the agricultural industry in Australia would be sent into chaos. "The backbone of Australia is the small producer," Mrs Becker said. "Does our farmland fall into the hands of the big conglomerates, like what's happening with the dairies at the moment? I think federally and state-wide they're playing games, they don't want to help small people like us. The Federal Government has announced a review into the scheme, with the aim of ensuring the hardship payment is supporting farmers as well as possible and to see if there are ways to improve it. The program has also been extended from three to four years of coverage. Mrs Becker said first step fixing the system would be to simplify it. "Make the application process simple, so that the average person can do it or they can go into a community agency and within an hour or so someone can help them complete the details," she said. Thankfully for the couple, they have since been able to access separate funding via QCWA to help pay for feed and fuel. Ms Becker encouraged other producers to explore all the assistance options available to them, and said help was out their even if they didn't qualify for the Farm Household Allowance. She also urged those struggling to apply for the FHA despite the issues with the project. "See if you at least qualify," she said. Don't be too proud or to humble to ask for help. You don't lose face. WITH the drought tightening its grip on the region, struggling farmers are being urged to seek help when they need it. Federal Member for Wright Scott Buchholz said assistance for those doing it tough was available through the Farm Household Allowance. "It provides up to four cumulative years of support for eligible farmers and their partners experiencing financial hardship - for any reason, not only drought," Mr Buchholz said. He however urged farmers not to self-assess their eligibility for the scheme, and instead contact Zoe Burke from the Rural Financial Counselling Service. Ms Burke reiterated the warning for farmers not to self-assess, and said with so much already on their minds, the complicated application process should not be attempted without help. 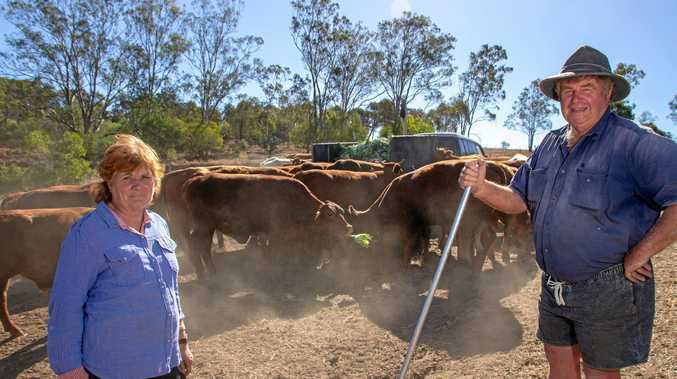 "You can understand especially at the moment when people are suffering drought conditions they're under a lot of stress as it is - so sometimes it can be just a bit overwhelming to even work out if they might be eligible," she said. Ms Burke said counsellors such as herself offered a free and confidential service to help those doing it tough. "It's for those that are at risk of hardship or suffering financial hardship, to help them understand their financial position," she said. She said in addition to helping primary producers apply for the allowance, the service could direct them to additional services. "Even if you're not eligible for Farm Household Allowance, we can direct them to other things that might be able to help them," she said. Mr Buchholz said the government had considered criticisms of the program's complexity and was working on improvements. "In the meantime farmers should not be put off making an application," he said. To contact the Rural Financial Counselling Service, please phone 1800 686 175.